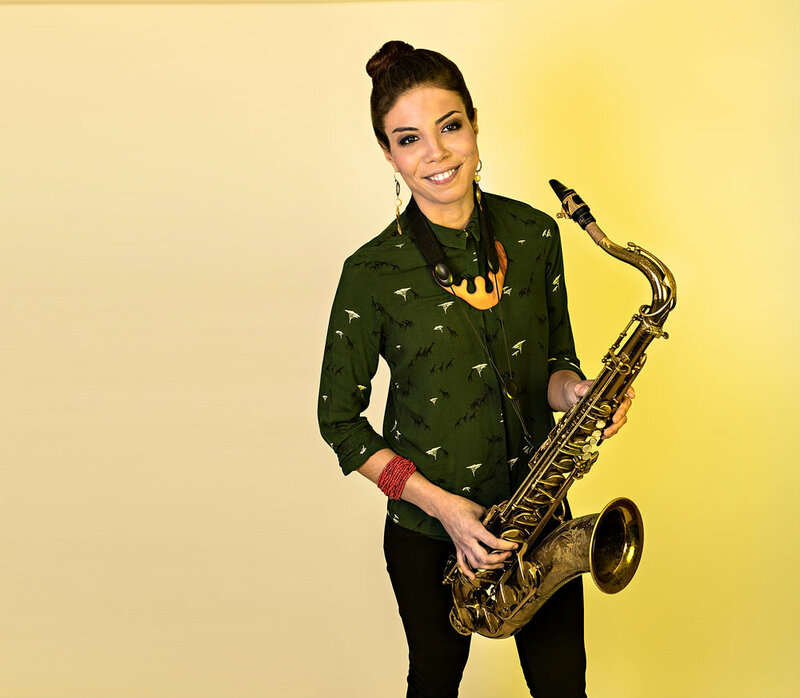 As a child, Chilean-born saxophonist Melissa Aldana studied with her renowned saxophonist father Marcos Aldana (son of saxophonist Enrique Aldana, whose Selmer Mark VI tenor Melissa performs with to this day). 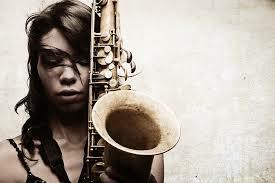 She began on alto but after hearing the landmark Sonny Rollins + 4 she switched to tenor and never looked back. Other important influences she cites range from Don Byas, Gene Ammons and Lucky Thompson to Chris Potter and Mark Turner. 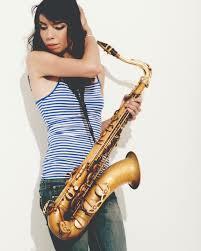 In 2007 Aldana moved to Boston to enroll at Berklee, coming under the mentorship of tenor great George Garzone. Pianist Danilo Pérez and saxophonist Patricia Zarate provided Aldana with crucial support and guidance as well. In 2009 she took the plunge to New York and began apprenticing with greats such as Greg Osby and George Coleman, among others. In 2013 she became the first female instrumentalist and the first South American ever to win the Thelonious Monk Competition. She is also a recipient of the Martin E. Segal Award from Jazz at Lincoln Center and a double recipient of the Altazor Award, Chile’s highly prestigious national arts prize. In 2014 after two quartet releases for Osby’s Inner Circle label (Free Fall and Second Cycle), she turned her attention to the chordless trio, a jazz aesthetic Sonny Rollins did so much to pioneer. With Back Home she deepens her trio investigations while looking back on her roots, drawing as well from the original compositions of Menares and Rueckert. Back Home was recorded at Sear Sound on June 6+7, 2015. It was engineered (tracked and mixed) by James Farber and mastered by Greg Calbi, two of the top recording engineers in the world. Unlike the Crash Trio album, this time Aldana and the trio played together in the same room instead of using separation. The end result is a more intimate, full-bodied sound, with exceptional clarity, expanse and color.